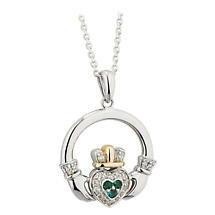 This 14k White Gold Claddagh Necklace is truly special. At the heart of this pendant is a trio of emeralds surrounded by a halo of diamonds, topped off with a hint of yellow gold on the crown. Diamonds also sparkle in the crown and cuffs. This Irish icon symbolizes the virtues of Love, Loyalty and Friendship through the heart, crown and hands. Measures approx. 0.6 inch tall and wide. 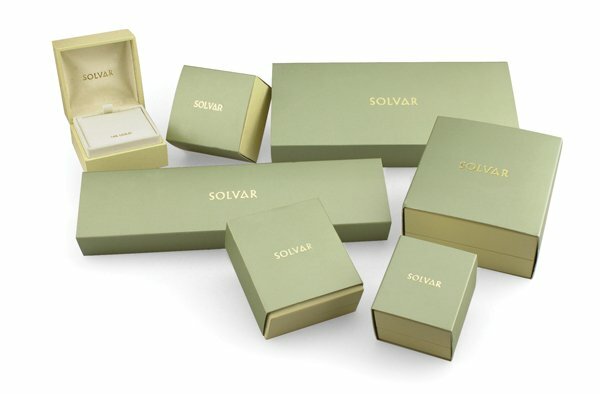 Comes in a presentation gift box on an 18 inch chain.